It’s been four years today that this blog has been going, and I just wanted to take this opportunity to thank you all for reading, following, commenting, supporting and generally just being lovely! I received a letter yesterday from a lady in India who runs a school influenced by the teachings of Krishnamurti and many Buddhist concepts. She also has a great love of Celtic theology and music, and took the time to write to me telling me how much she loved my first book, Zen Druidry. It’s so wonderful to receive letters like these, and I’m continually both surprised and delighted that so many people have taken the time to get in touch. I feel really connected to the readers of this blog and my books, and I thank you from the bottom of my heart for your words, your suggestions, your reviews, your letters, your support and more. And the timing of that letter was brilliant; there is some good news to share as well! It looks very much like a follow-up to my first book, Zen Druidry will be published this year! Taking the ideas from Zen Druidry in the Pagan Portals series by Moon Books (this is a series of books that offer an introduction on subject in around 100 pages or less), these ideas are further expanded in this new book, as well as offering more ways to blend Zen and Druidry, Eastern and Western traditions to create a holistic worldview based on reverence for the natural world, utterly awake and aware to the present moment. I’ll keep you all posted on updates, and once again, thank you all so very much! Wow. Get this book. Read this book. Love this book. 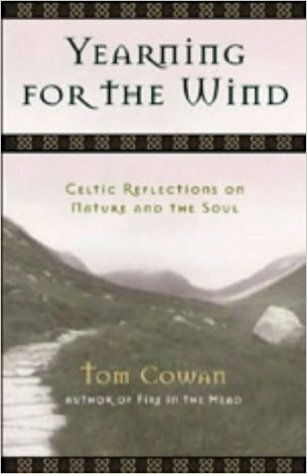 Tom Cowan’s stories and insights into Celtic spirituality are brilliant. There will be a few future blog posts based around concepts from this book, concepts that coincide with things that currently are occupying my brain space, such as integration, immersion, the Oran Mor and more. This is a book that will not only blow your mind, but also leave you giggling, rooting for the author on his adventures, and developing a deeper insight into your own soul. A beautiful book to read after The Salmon in the Spring! You can buy Yearning for the Wind HERE. Fellow author, Druid and all around lovely person, Danu Forest has written the first in a series of e-books that detail aspects of each of the eight pagan festivals, otherwise commonly known as The Wheel of the Year. 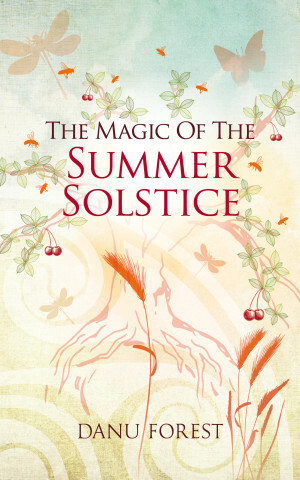 Her first book, The Magic of the Summer Solstice, is a well written, well-rounded account of folklore and customs that surround this time of the highest light. It is also filled with arts and crafts to do during the summer solstice, as well as recipes, meditation, visualisations and more. There are also lovely, simple illustrations by her talented husband and artist (and excellent drummer – my doumbek came alive in his hands at Druid Camp last year! ), Dan Goodfellow. I loved this little book. I loved it so much I read it twice. I really look forward to reading the others in the series, and to find ways to incorporate some of the ideas into my own personal ritual practice. For the time being, I’m keeping an eye on the elder tree in my backyard for making cordials, and will be making a lovely sun wheel for our group celebration later this month! P.S. 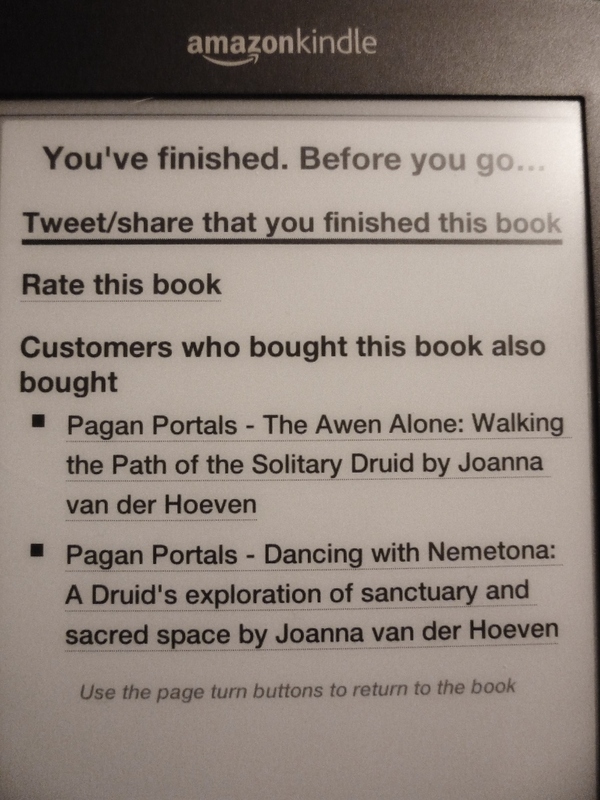 Just to top it all off, I was also delighted to see that at the end of the e-book was this!